a more user friendly open software platform for 3D printing called Spark. these developments could mean for the future of product design. 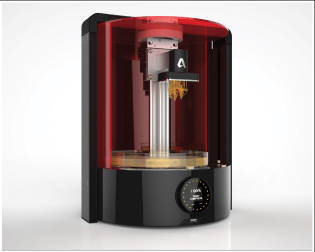 The Autodesk boss Carl Bass claims that their new 3D printer and user friendly software will accelerate developments in the industry and act as a valuable tool for product designers, hardware manufacturers, software developers and materials scientists. The target price is said to be around £5000 for this British developed machinery. With rapid prototyping outfits providing prints as fine in layers as 16 microns, and very fast turnarounds, can a desktop 3D printer compete in the near future or will it simply gather dust in the corner and eventually be replaced by a new coffee machine ?. We reserve judgement until the launch later this year.